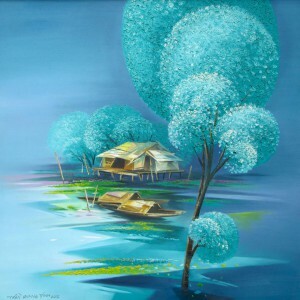 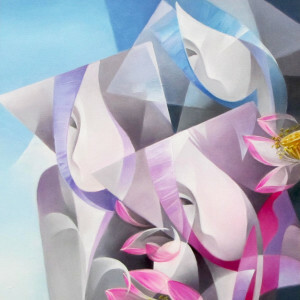 This contemporary Asian artwork by Tran Quang Dinh delights the viewers with the exquisite merging of the loose manner of painting with the alluring colors of teal blue and pink. 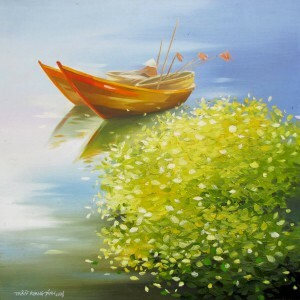 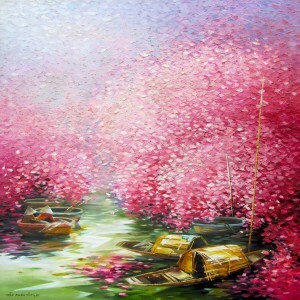 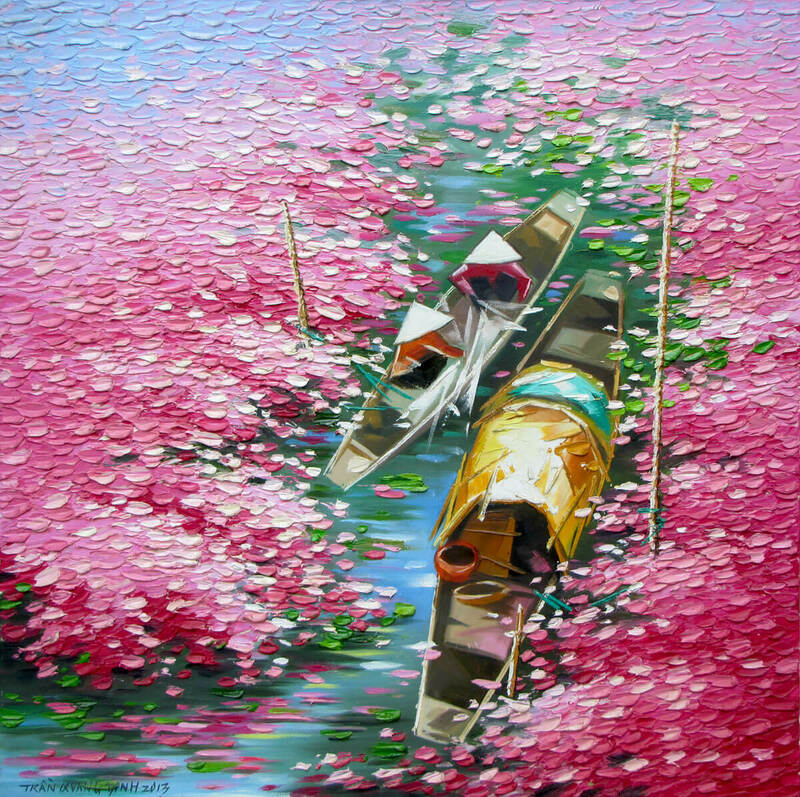 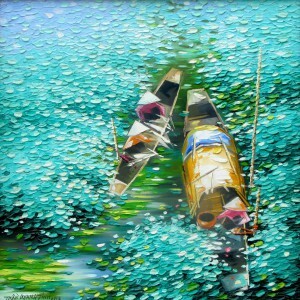 One will find oneself easily carried away by this gentle bird’s-eye view of a boat crossing a river, full of flowers. 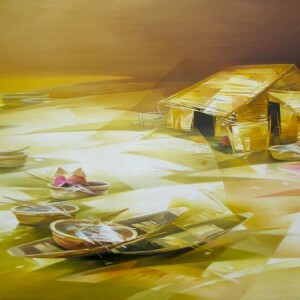 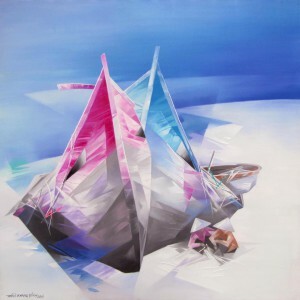 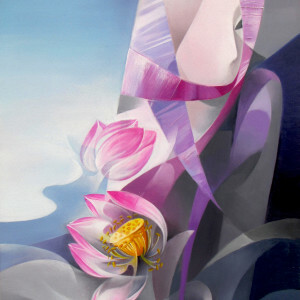 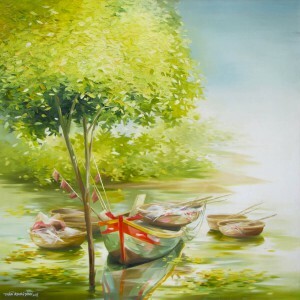 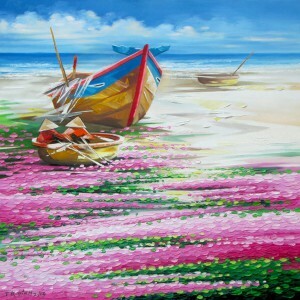 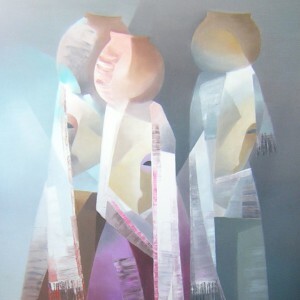 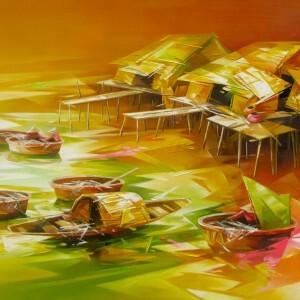 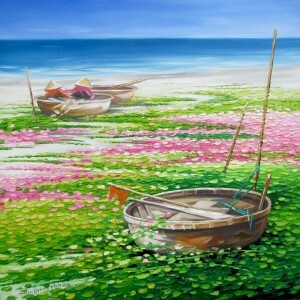 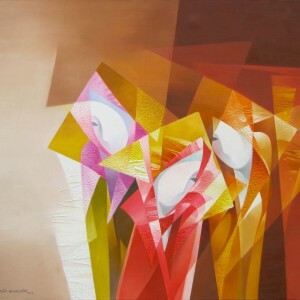 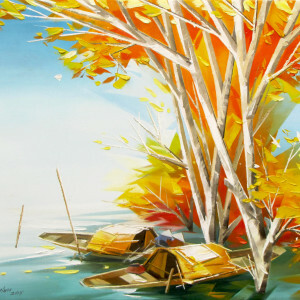 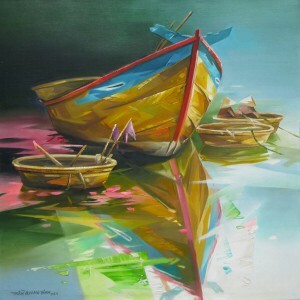 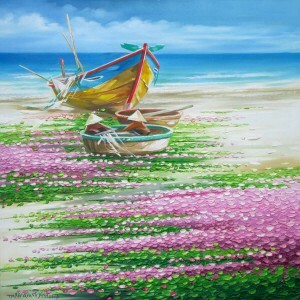 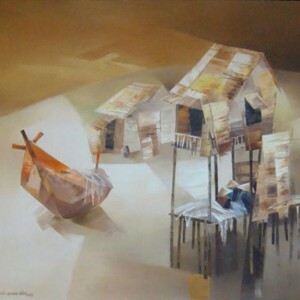 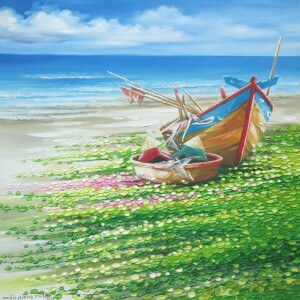 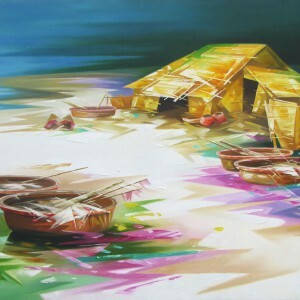 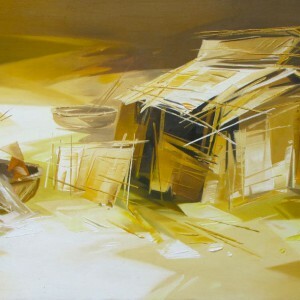 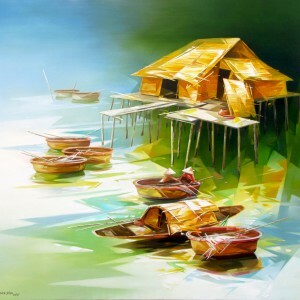 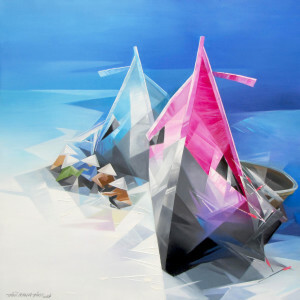 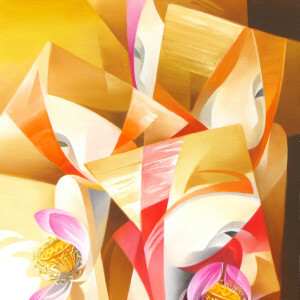 It is a stylistic presentation of a theme common in Vietnamese art.